Facts — Stay true to you. New York offers a public health insurance program (called the Family Planning Benefit Program) that provides free or low-cost family planning services. You can apply for the program even if you have other healthcare coverage and it is completely confidential. FACT: Free birth control isn’t limited to just condoms or The Pill. In New York State, you are able to select the free birth control method that works best for your unique needs, including the non-hormonal IUD, hormonal IUD, implant, shot, ring, patch, pill, male and female condoms, and emergency contraception. Talk with your healthcare provider about which option is best for you. FACT: You do not need your parents’/guardians' permission to obtain birth control. 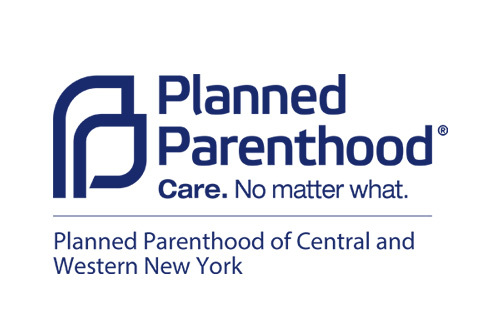 If you are 17 or younger in New York State, you do not need your parents’/guardians’ permission to receive sexual health services including birth control, emergency contraception, pregnancy testing, prenatal care, sexually-transmitted infection (STI) testing and treatment, abortion services, or sexual assault care. You can apply and receive FPBP benefits even if you are covered on your parents’/guardians’ healthcare insurance. FACT: You do not have to use your or your parents’ existing health insurance to obtain birth control. Even if you are covered by another health insurance plan, you can choose to pay out of pocket or apply for Family Planning Services coverage under the FPBP. Using this insurance program guarantees you confidential family planning services regardless of your age or gender. FACT: Birth control doesn’t hurt your chances of getting pregnant in the future. Your fertility will return quickly after you decide to stop using a reversible birth control method. Studies show that most women will become pregnant within one year of stopping birth control regardless of how long it was used. In other words, your fertility will return quickly whether you used the birth control pill for 7 years as it will if you used it for 7 months. FACT: The morning-after pill is not an abortion pill. Morning-after pills are emergency contraception that prevent your body from releasing an egg. It is important to understand that morning-after pills are not abortion pills and won’t work if your body has already released an egg. They work to prevent a pregnancy from occurring but will not cause an abortion if you are already pregnant. FACT: IUDs are safe for women who have never been pregnant. Doctors used to think that the IUD wasn’t a good method for people until after they had their first pregnancy; we know now that it’s safe for younger women, and since it’s more than 99% effective and very low hormone, an IUD is a great option to consider at any time in your life. FACT: It’s OK to use birth control to skip your periods. Some women believe that having a monthly period is “cleansing” or keeps your uterus healthy in some way; in fact, using hormonal birth control methods to skip your period is perfectly healthy and safe. Talk to your doctor or nurse about how to do this. FACT: There are lots of birth control methods that are good for busy people who need low-maintenance birth control! Many women have trouble taking the pill every day and decide that birth control is not for them -- not true! Our “set it and forget it” methods like the IUD and the implant protect you from pregnancy for 4-12 YEARS, depending on the method. Even things like the patch, ring, and shot aren’t something you have to remember every day and are great at preventing pregnancy.